Furnished in period style, this detached country house boasts the spacious elegance of a bygone era as well as superb views towards Buckfast Abbey from its elevated position within Dartmoor National Park. Ashburton (1 mile) offers interesting shops, restaurants, pubs, and art, craft and antique galleries. 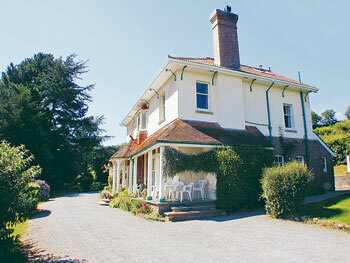 The River Dart Country Park, National Hunt racing, golf courses and many other attractions are all nearby. Torbay and coast 15 miles. Four bedrooms. Large hall. 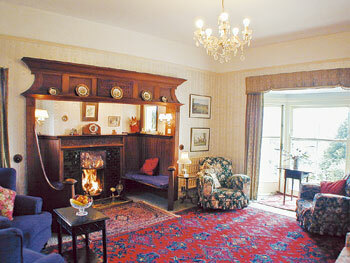 Sitting room with oak inglenook and log fire. Dining room. Reading room. Traditional kitchen with oil Aga and walk in larder. Cloakroom/W.C. First floor: Single bedroom with wash basin. Bathroom. Shower room/W.C. Two double bedrooms and twin bedded room each with wash basins. Landing with sitting area.